Whelp, the holidays are over y’all. Our Christmas was grand, I hope you all had a great one too! As I’m looking over the gifts so purposely given to RancherMan & me, I’m incredibly touched at the thoughtfulness of them. Many of you like to give low-waste gifts so I thought it would be fun to share some of the fun gifts that RancherMan & I received. They were environmentally friendly low-waste Christmas gifts and very well suited to our tastes. One family gave us cold, hard cash. RancherMan & I don’t often get to just shop for ourselves so this gift is very exciting to us. I’ve already got a long list of potential fun purchases and I can’t wait to go shopping! 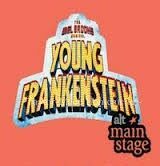 One of our most fun gifts were tickets to a live production of Young Frankenstein. RancherMan & I absolutely love going to plays and this one performed at the Little Amarillo Theater was stellar! We got to spend the evening with our cherished loved ones & enjoy a great show too! Another family member made us a variety of homemade treats. 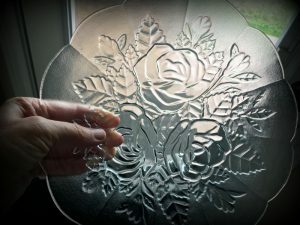 To package her gift, she purchased a beautiful shallow bowl at a thrift store. She gave instructions that we were welcome to keep the plate if we wished, but it would also be appreciated if we’d refill it and pass it on to show the love to someone else. OMGosh I love that! One of our gifts was a gift card to a chain restaurant in a nearby town. RancherMan & I enjoy getting away & going out to eat sometimes. This gift card assures we can treat ourselves without it coming out of our already-tight budget. Plus someone else does the cooking & cleaning. I’m seeing a date night with my handsome RancherMan coming up! Another delightful gift was a bundle of homemade corn relish and corn-cob jelly. It’s delicious! Consumable food is always appreciated and enjoyed. The gift is delicious, consumable and the canning jars are reusable. Perfect! 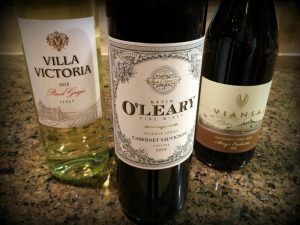 Another family member thoughtfully presented me with some of my favorite wines. During more temperate weather RancherMan & I enjoy sipping a glass of wine on the back porch as we watch the beautiful Texas sunset together. This gift will certainly be used and once again, a consumable gift that’s so much appreciated. How sweet!! Oh, and one of our gifts was a cool set of 4 *solar-powered lights. 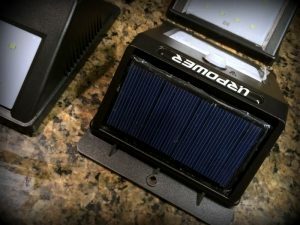 Of course you can install these on a deck or privacy fence, but for us they are even more helpful. It was recommended that we install them in places where no existing electrical line exists yet a little bit of light would be helpful. Some ideas are on our feed shed, the chicken coop or maybe the barn. Love it! 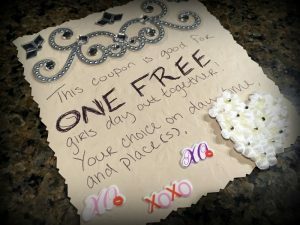 And here’s a special gift: A fancy handmade certificate for what our family has always called “Girls Day”. You see, when I was young my mom used to take me away for a full day together. Maybe shopping, a fun lunch out… whatever. I carried on that tradition with my girls. Every so often I would slip away with one of them for a fun day together, we called it Girl’s Day. It was a great bonding experience and lots of fun for each of us. Now that they’re grown I still enjoy this fun tradition. One daughter & I recently went for a full day filled with pedicures, wine tasting, lunch and shopping. This same daughter presented a Girl’s Day Certificate as my Christmas gift this year. There’s certain to be a pedicure for each of us with matching blazing-pink toesies in the immediate future! I love that the gifts we received were so perfectly matched to us! What were some of your favorite gifts? 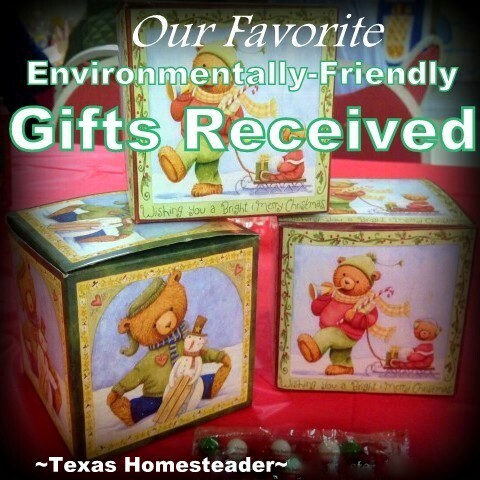 This entry was posted in Blog Posts and tagged Christmas, Environment, Holidays on January 4, 2017 by Texas Homesteader. These are wonderful gifts. They are well thought out and come from the heart. And that’s what gifts ought to be, they should suit the user and not just be an afterthought. Happy New Year! What wonderful gifts! I’m so glad y’all had a lovely Christmas. I love these ideas, I’ll have to remember for next year. Thanks for sharing on the Homestead Blog Hop! I love the idea of passing the plate on. My neighbor and I had a tradition of passing the same plate back and forth with baked treats back and forth. Thanks for sharing at the #ThisIsHowWeRoll Link Party. 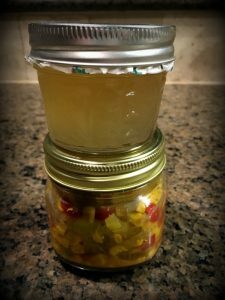 That corn relish and jelly sound amazing. I’ve never heard of such a thing before. I love your ‘girls day’ tradition too. Thanks for sharing on the Waste Less Wednesday Hop! My elderly mother doesn’t much need ‘things’ anymore, but has a long list of daily necessities. I give her one special gift, either a large print book she hasn’t read or a yard ornament, but the big gift is the ‘big red tub’. I’ve used this for several years now and the cheery metal tub gets filled with possibly: a roll of stamps, large-print word search books, stickers and blank cards for her to make her own cards to send, a bottle each of the vitamins and herbs she takes, Watkins White Linament, Oil of Oregano, Sensitive toothpaste, her favorite cookies and candies, small gift card or two to Dollar Store or OTP, whatever I think will be useful to her for the first couple of months of the new year. In more flush years, she gets a bigger assortment, in very lean years it might need some tissue paper fill-ins, but it has been a real hit ever since I started this. In some years I’ve upped her cable selection (which I pay for thereafter), or replaced a small appliance I knew was on the way out (portable telephone, toaster, whatever). So glad that you had a very merry Christmas! Thanks for sharing with us on the Homesteaders Hop! So sweet! You can tell a gift that was given with love when the givers take the time to pick something you would really enjoy. You are blessed to have such a loving, thoughtful family. What wonderful and such useful gifts. Beautiful plate. I remember some years back that I used to do the ‘Giving Plate’ project. A person can either buy a plate with the saying on it already or can make your own which I have done in the past. Buy cheap plates at thrift store or Dollar tree; grab yourself a sharpie and write a saying on the plate bake the plate(providing it isn’t plastic) and let cool completely in the oven. You can either write; ( ‘Giving Plate’; Enjoy, Refill, Pass. Share the Love.) Saying: The Giving Plate This plate belongs to everyone wherever it may go… with each new sharing of its gift, the love and blessings grow, So fill it up and pass it on to family and to friends… to start the circle one more time, love’s journey never ends.